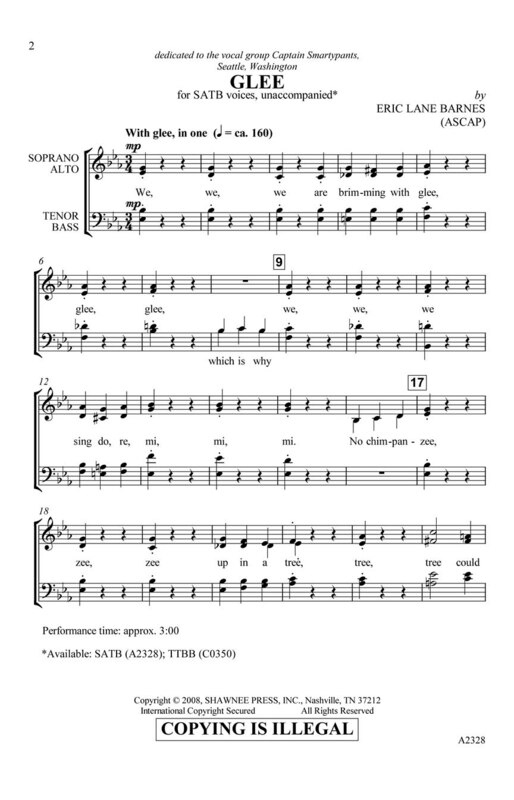 Eric Lane Barnes has a very unique writing style and he has done it again with the choral; Glee! This creative a cappella gem is quite entertaining; hearkening back to the days of the glee club songs of Yale and Harvard. This work is an excellent tool to teach harmonics. 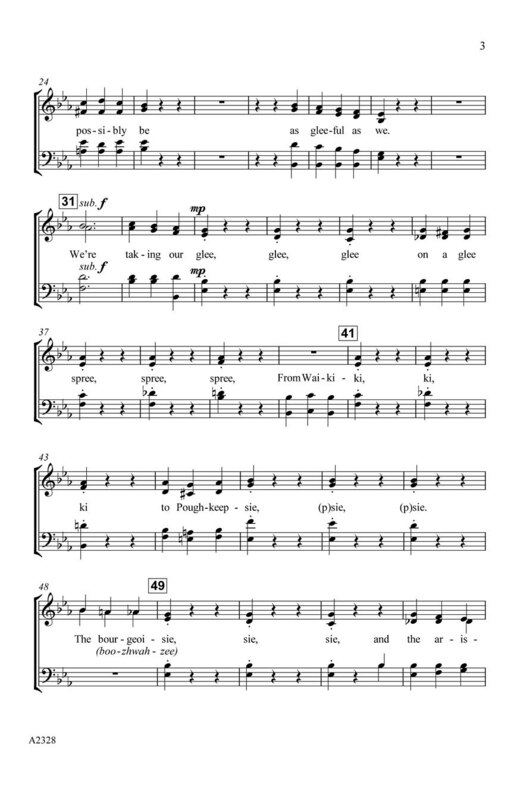 Listen to the middle section that contains a sequence of ascending diminished 7th chords with lyrics announcing the definition of the word; “glee.” Novel; yet eloquent in its style and performance possibilities; Glee is “gleefully” a winner for any program.